Do your work securely and efficiently. Balanced with a fast and simple collaborations without hassles. Designed for securing confidential data of company. DirectCloud-BOX prevents data loss or damages. There is nothing more important than data security in business. Especially data keeping online should be handled in a secure storage. DirectCloud-BOX is committed to build up secure data environment for our customers. Share your files in an easy & secure way with various notification options. You can work easier and smarter with anyone inside or outside your team or company. Various notification options are available. 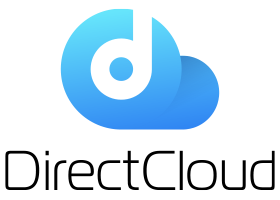 DirectCloud-BOX is a cloud storage service designed for beginners or non-IT administrators. Admin can manage company data easily and users can share from anywhere and on-the-go. provides management tools that can be customized for flexible security levels. Fine-grained security is the key of DirectCloud-BOX that not applicable for personal or on-premise model. Do work easier and smarter with DirectCloud-BOX. You can upgrade plans to existing subscriptions when needed. Jiransoft, Inc. Copyright © 2016 Jiransoft, Inc. All Rights Reserved.